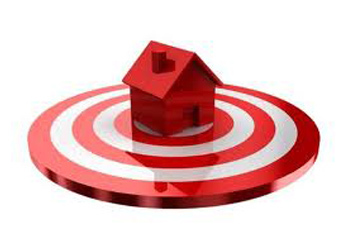 The are a variety of factors that go into pricing your property. Your Real Estate Professional can explain them in more detail, but here are some factors that don’t have much impact on the value of your home. What the internet says. It’s novel to enter your address into a price-valuation site and see what it says, but you can’t rely on such sites to give you an accurate value. Websites such as these don’t know the current local market the way your Realtor does, nor do they take into account what a buyer in your area is willing to pay. Sometimes they are too low since the site doesn’t know about improvements to your property that make it more desirable to your neighbors. Texas is also a non-disclosure state, so these national unlicensed sites do not have access to accurate comparative sales like our agents at Catalano & Associates Realty. What you spent on your master bathroom remodel. While upgrades definitely appeal to prospective buyers, they don’t necessarily fetch you a higher price. Though master bathrooms, kitchens, and outdoor space updates can boost your resale value, much of the cost is for your own enjoyment and doesn’t always equate to a dollar-for-dollar return on your investment. Over-improvement for your area can also result in minimal resale value of your updates. Talk to Your Real Estate Professional at Catalano & Associates Realty about what updates give you the most bang for your buck. What proceeds you need from the sale. You can’t price your property with target proceeds in mind. Buyers don’t care if you have a financial goal in mind, and they are turned off when a listing is priced higher than it is worth. Properties that are priced incorrectly often stay on the market for a longer period of time and result in a lower sales price than if they were priced properly from the beginning. Your Realtor can help you come up with the best listing price and marketing strategy for your home by using accurate data about recent sales and your local market.